currency in analytics to your currency. Users can access this feature from the little gear icon at the top of the analytics page. 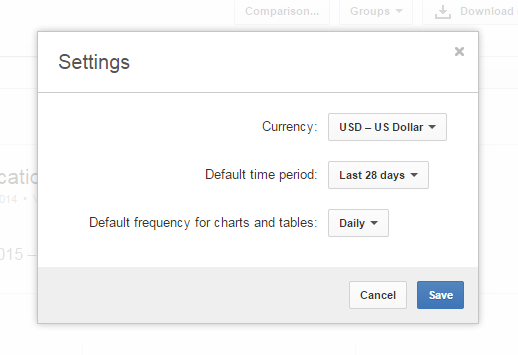 These settings include Currency, Default Time Period and Default frequency for charts and tables.